Redwings Zowie is one of six Redwings horses rehomed to the Royal Alexandra and Albert School’s riding centre in Reigate, Surrey, alongside Acer, Clyde, Tom, Moto and Noah. Eight-year-old, 14hh, piebald cob Zowie was rescued in January 2016 from Haddiscoe, Norfolk, following a call from a concerned member of the public about a mare with a very poorly foal at foot. Redwings’ Senior Field Officer Julie Harding responded to the call to find the foal in need of urgent veterinary attention. Zowie, who herself was very underweight, and her foal Bowie – both named by the Sanctuary in memory of the late pop icon David Bowie, who had passed away the day before the rescue – were seized and taken to Redwings’ Horse Hospital. Read Zowie and Bowie's full rescue story here. Four months later, Zowie gave birth to another foal named Stardust, and despite their difficult start, the family of three all thrived in Redwings’ care. So much so, that two years later, Zowie was chosen as an ideal candidate for the charity’s rehoming programme – the Redwings Guardianship Scheme. Zowie is one of the first horses to be rehomed by the charity as an unbacked project horse. 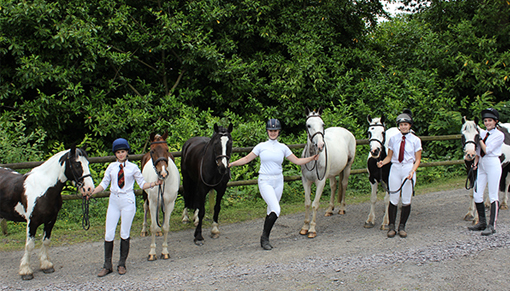 While she has undergone basic handling training with Redwings’ rehoming team, her training under saddle to be a ridden horse is the responsibility of her new Guardians – that is, her new young handlers and riders at the Royal Alexandra and Albert School. 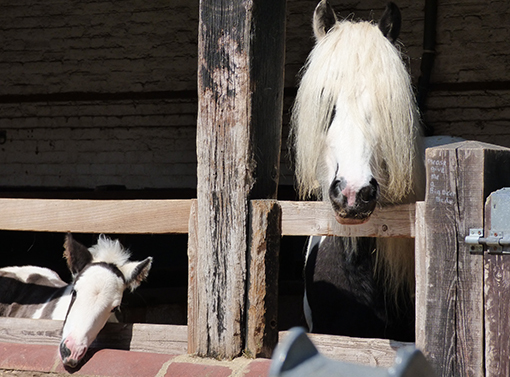 Irini Economou, Stables Manager at the school’s ridng centre, explained why she was keen to rehome horses from Redwings: “We wanted to rehome from Redwings to give rescued ponies the opportunity to live at the School and be loved by the pupils. “Even though three of the ponies came to us unbacked, they have all taken to their training really well and Zowie is now enjoying gentle hacks around the school’s 200 acres of parklands as her training progresses. The school has also chosen to support the charity further by holding fundraising events, including a fancy dress sponsored showjumping competition, and Irini is planning a 10,000ft sky-dive! Commenting on Redwings’ partnership with the school and Zowie’s new home, Redwings’ Rehoming Manager Rachel Angell, said: “We are delighted that Zowie and our other five Redwings ponies, have found the happy ending they deserve at the Royal Alexandra and Albert School’s riding centre. They have excellent facilities and it’s so rewarding to see how well they are progressing in their training. 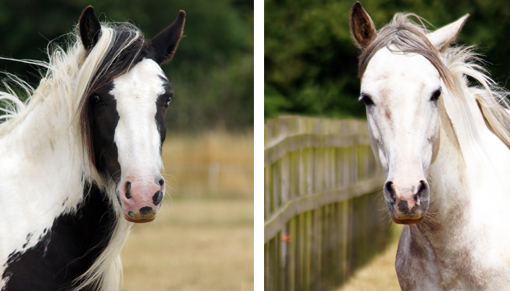 If you’d like to rehome a Redwings rescued horse or pony, click here.